Ideal to stamp numbers on your documents, you can stamp up to 6 at a time. The numberer has 6 bands with a character height of 4 mm. The imprint size is 4 x 27 mm. 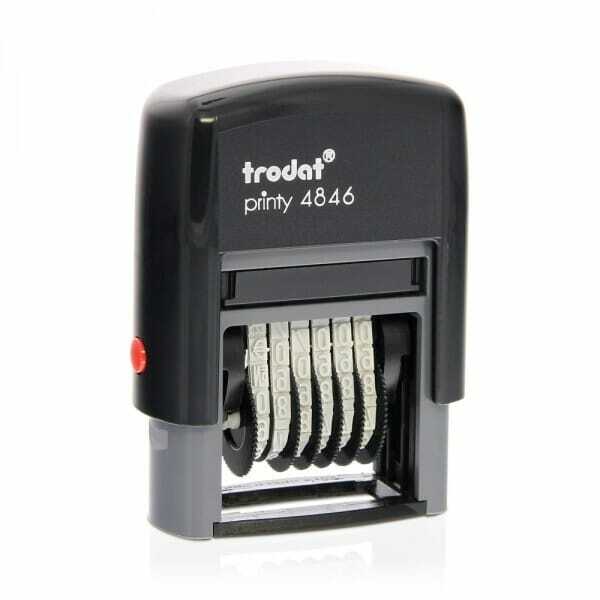 Customer evaluation for "Trodat Printy Numberer 4846"